Hello, lovelies~ Have you heard of a new secret at Emporium Pluit? It is located on the 4th floor on the corner, right beside Timezone and Sushi Groove. It's called Secret Garden Kitchen and Lounge. Yep, it's a restaurant. Yeah, sorry for the cheesy intro paragraph, I just wanted it to look as if it was a secret place and/or mission. 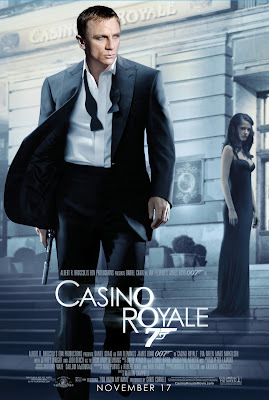 Just in case you're wondering, I just watched Casino Royale, maybe that's why the intro is all secret-agent-ish, hahaha.. Anyway, let me share with you my dining experience at Secret Garden Kitchen & Lounge. I went there with Mr. G the other day right after we watched Jack Reacher, which is an awesome movie for those who haven't watched it yet. I originally wanted to have desserts since I have been craving for chocolates. I know, I know. That's bad. From the front of the restaurant, I can see that the main color will be a few shades of green combined with white. There was even a swing on the main entrance. As we got inside the restaurant, the interior is made to look like a garden, with fake grass decorations and garden chairs. There are hanging grass decorations on the ceiling as well. For those who want to sit more comfortably, they provide sofas right next to the window with a view of the apartment next door. Luckily, it was cloudy when we dined there, so the weather wasn't hot even though it was 3 p.m. Since I was craving for chocolates, I immediately searched for the desserts section. However, to my disbelief, I couldn't find any on the menu. I asked the waiter about it and she looked confused. She explained to us that those were the only menus they have. I was disappointed it doesn't have nay desserts menu, not even chocolate pudding. Oh, well. I suppose they don't feel the need to add desserts to their menu, God knows why. At this moment, I was feeling pretty lousy because of the absence of desserts, so Mr. G took care of the food orders. He chose chicken wings, rib eye steak, chicken cordon bleu, ice lemon tea and iced chocolate (for me). As I'm writing this, I'm still baffled that they don't have any desserts. Hopefully, they will come up with the dessert menu soon. Aside from being a sourpuss myself, the service from the waiters and waitresses is quite friendly. She knows which ones are the specials from the restaurant, despite the lack of indication on the menu as to which ones are their specialty. They are polite in repeating our orders right after Mr. G finished the ordering. Thumbs up for being polite. The first one that came were the drinks, iced lemon tea and iced chocolate. It was alright and usual, nothing special really. The iced chocolate was a little too bland for me and too diluted. However, I can still taste the chocolate, ever so slightly. I wasn't really hoping for much to begin with anyway. Then came the chicken wings. Now, I am not the biggest fan of chicken wings, but I still enjoy an occasional wing or two. I'll sound like a snob for saying this, but sometimes, I just can't be bothered to use my fingers to pick the meat from the bones. 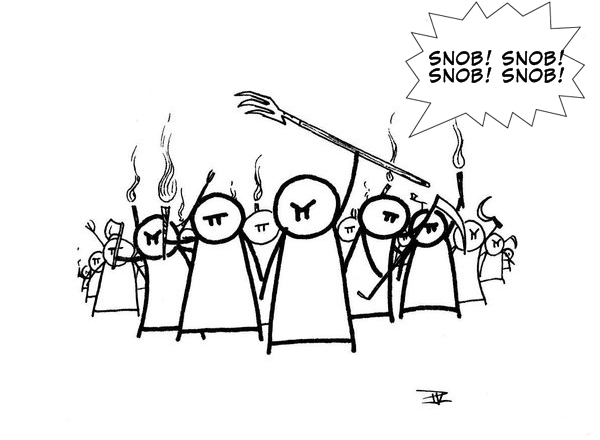 Yes, feel free to bring your pitchforks and torches whilst forming a mob, shouting, "SNOB! SNOB! SNOB!". There are five pieces of chicken wings on the plate, each one coated with barbeque sauce. The wings were neatly placed next to each other with a small side of salad. The meat was a bit hard to chew, with the taste of barbeque sauce. The usual BBQ from the bottle bought from the supermarket. I wouldn't really order this again if I were to dine here for the second time. I preferred the chicken wings from Fiesta, the one in the big plastic bags sold at most supermarkets. The next dish was the Rib Eye Steak with Black Pepper sauce. It came with a side of french fries and salad comprising mainly of lettuce with a lack of dressing. Also, there is a small saucer filled with cold black pepper sauce. It's not ice cold, but room temperature cold. It's not even heated through, quite disappointing. The steak itself was cooked to a medium well on some of the thin sides, whereas the thick side is medium rare. Luckily, the steak is tender and well seasoned. The black pepper sauce is almost similar to barbeque sauce with plenty of black pepper. At least, that was how it tasted to me. The last dish was the Chicken Cordon Bleu, served with a side of french fries and mixed veggies (peas, carrots and corn). Presentation-wise, it looked good that it took 2 minutes for me to snap pictures of it. The portion of the chicken was quite big with generous amounts of cheese on the inside. There was a serving of barbeque sauce on the side as well placed in the saucer. Oh, it was cold, too. I like the well seasoned and crispy chicken exterior combined with the melting cheese and ham. Another plus point of this dish was the thoroughly cooked chicken, despite its thick meat. It was also moist and juicy without overpowering the ham. This dish costs Rp 68,000. Overall, I enjoyed the ambiance of the restaurant since it felt relaxing with all the grassy decoration, making me feel like I'm in a garden that has a cool climate, thanks to the air conditioners. The service was decent as the waiters were well mannered while listening to customers' orders. However, the food was a let down for me as the price tag were quite expensive if it were tallied to their taste. The only dish I enjoyed was the Chicken Cordon Bleu, but I'm not sure that is enough to make me want to return to eat here again. The absence of desserts may be one of the factors that makes me consider dining here again.